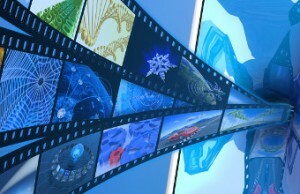 Videantis offers the most flexible, small area and low power video coding solution on the market. Looking to support multiple channels of 4K video encode and decode or new standards such as AV1, HEVC and VP9? Need low-delay, H.264 or JPEG, 10/12/14-bit codecs that run well over 100Mbps for automotive applications? With our extensive library of 15+ video and still image codecs, we address a wide variety of video coding applications, and have what you need. Read more about the videantis deep learning, processor IP and our computer vision solutions. The AOMedia Video 1 (AV1) video codec is an open, royalty-free video coding standard developed by the Alliance for Open Media (AOMedia) consortium, founded in 2015. The HEVC video codec, also known as H.265, was standardized in 2013, and is the codec of choice for 4K content. Compared to H.264, HEVC provides significant bitrate savings, or a picture quality increase at the same bitrate. H.264 is the most commonly used video today, initially used in Blu-ray, most internet, broadcast and mobile systems have now adopted this codec. These profiles bring more bits per pixel, and due to their intra-only coding, videantis can run these codecs without storing a frame buffer, removing the need for external DRAM. This results in very-low-cost solutions while retaining very high quality. Google’s Webm codecs are used in YouTube, Google Hangouts, Skype, and many other applications. Microsoft developed this video codec, providing similar coding efficiency as H.264. The codec is used in Blu-ray, as well as in Microsoft’s SilverLight application framework. The MPEG-4 video codec absorbed most of the functionality in MPEG-2 and the original MPEG. H.263 and H.261 are two codecs standardized by ITU that are primarily used in mobile video conferencing applications such as in the 3GPP standard. MPEG-2 and MPEG-1 are primarily known for their use in DVD systems and TV broadcast. JPEG is the most commonly used standard for compression of digital still pictures. Motion JPEG uses JPEG compression for video applications. Videantis supports extensions for 4:2:2 or 10/12-bit operation, resulting in higher-quality and higher dynamic range images. This codec is primarily used in older versions of Adobe Flash, a multimedia and software platform for rich internet applications. RealVideo is a suite of proprietary video compression formats developed by RealNetworks and is used for streaming video. Learn more about our deep learning, processor IP and computer vision solutions.